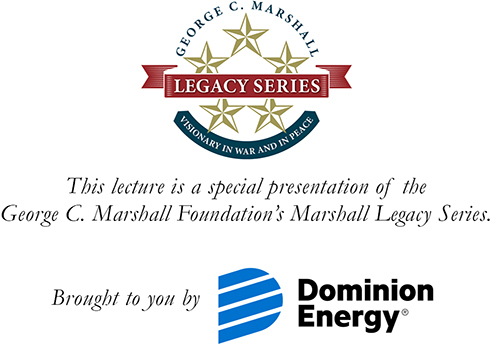 Part of the Members Lecture Series category. 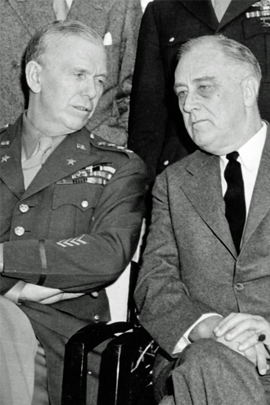 As the 75th anniversary of the D-Day landings approaches, it is fitting we remember the men who ensured the great invasion took place: the U.S. commander in chief, President Franklin D. Roosevelt, and his chief of staff of the U.S. Army, General George C. Marshall. Based on his new book, War and Peace, Nigel Hamilton tells how the two leaders overcame bitter British reluctance to bring an end to Europe’s long nightmare. Nigel Hamilton is a best-selling and award-winning biographer of President John F. Kennedy, General Bernard “Monty” Montgomery, and President Bill Clinton, among other subjects. He is a senior fellow at the McCormack Graduate School, University of Massachusetts, Boston. Hamilton's most recent book, War and Peace: FDR’s Final Odyssey: D-Day to Yalta, 1943–1945, is the final volume of his trilogy on how Franklin Roosevelt won World War II as U.S. commander in chief. Reception and book signing following the lecture. Reservations are required. Tickets must be presented at the door.